As life is wont to do at times, my life has been so busy and back and forth recently that I haven’t been able to enjoy the aviation world as much as I would like to recently. I’m not complaining as I have really been enjoying the time I have had with my family. 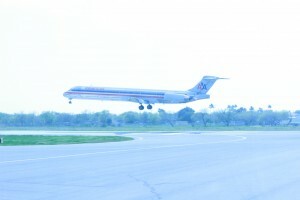 However, I do long to get back in the air, and to just be around airplanes again. I think living on an Air Force Base gave me a little relief in the past because I at least got to see airplanes every single day, even if I didn’t get to fly on them. Fortunately, all of my friends on Twitter stay super busy at aviation events all over the world. It is fun to live vicariously through all of you with all of the pictures and videos and other messages that I get to see. You all do a wonderful job of painting beautiful pictures for the rest of us who can’t be there. I think that is one of the reasons that I started this blog in the first place. I just wanted to share the cool experiences I was having that others may not be so lucky to have. We all have something to share in some realm of the world so I would encourage you to do that. Many people may think they have nothing of value to share, but I guarantee you there are people out there that would love to hear about your experiences, no matter what they may be. We all have so much good to share in this world so don’t be afraid, and put it out there. Our family is about to grow by one. 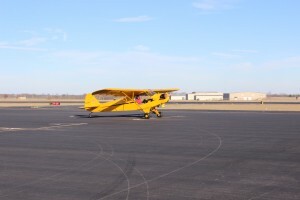 I really hesitated on posting this as I am not someone who enjoys asking for money, but after seeing the willingness of the amazing avgeek community to contribute, I figured it was worth a shot. As you can see from the above picture, it is a pretty awesome t-shirt that I am talking about, and it is in support of an even more awesome cause: my new son’s adoption. 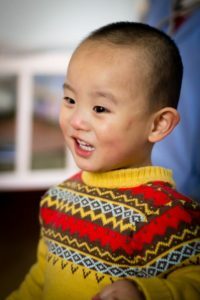 If you would like to read the full story please head on over to our adoption blog, but if you just want the highlights, here you go. 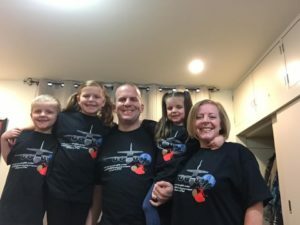 My wife and I have talked about adoption since we got married almost ten years ago, but it was just never the right time, until we moved to Japan and met some friends in my new squadron that were adopting from China. To make a long story short, after about eight months of paperwork and waiting, we were paired with our new son that we have named Ty Drechsel Lynn. Our new son Ty Drechsel Lynn. We are now within about two months of traveling to China and just trying to raise whatever funds we can to help make that happen. I have been overwhelmed with the generosity of people I hardly even know, and in some cases don’t know at all. If you would like to buy one of these awesome T-shirts and help with some of our expenses then I would greatly appreciate it. There are a lot of great causes out there so thanks in advance for your support. The mighty Herc is a dream to fly on and there is always more to learn. I learned a lot the last couple of weeks, so stay tuned. I wrote this post once and my site decided it didn’t like it so it all disappeared. I guess I didn’t convey the message I should have so I will just have to give it another go. Or maybe I just needed to read Ron Rapp’s excellent post on instructing to help me realize how important it is. I don’t think there is much doubt about how much I love flying on the C-130. It is such a versatile air frame that can do so much, especially when you consider how bulky of a plane it is. As much as I have enjoyed flying on the Herc, I have found something that has been even more rewarding in the last few months. The last thing that I did before leaving Arkansas was earn my instructor qualification. Because I moved shortly thereafter, I never had the opportunity to instruct before leaving. Add to that a good amount of leave and necessary ground training, and I went about three months without flying, which was essentially torture. After a few indoctrination flights here in Japan, I was finally able to do some instructing, which has been more fulfilling than I could have expected. It is such an incredibly amazing opportunity to share some small bit of knowledge with young, developing aviators. I don’t claim to know everything, in fact the more I instruct the more I realize I don’t know, and the more I learn. However, it has been so much fun to help build on the knowledge base that they already have. All of my students have been fully qualified navigators which is really an interesting dynamic because they are capable of flying all by themselves, but they need me there for some particular aspect of their development. What has been one of the most amazing things to me is that most of them don’t really need a ton of instruction, they really just need someone to put them in the right situation so they can learn from experience. In reality, they really just need someone to express confidence in them so that they will have that confidence in the future when they look over their shoulder and there is no one there to help them find a solution to a problem. I have been blessed with many of these types of instructors and I would be remiss if I didn’t take a minute to publicly thank some of them. Jesse for being the first to really instill that confidence in me. 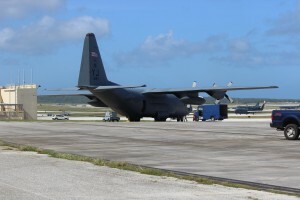 Right after I finished my initial C-130 training there was a decent chance that I would be up for a no-notice checkride by an evaluator from Air Mobility Command (essentially the people responsible for all mobility assets in the Air Force e.g. C-130, C-17, C-5, KC-10, and KC-135). As you can imagine it was a little intimidating for a guy that had only flown without an instructor about three times at this point. Jesse just told me not to worry because he had flown with me and he knew I would be just fine. Just a few simple words, but they gave me the confidence I needed to do exceptionally well on my checkride, despite the best efforts of the pilot. Ryan for always looking at the big picture when it comes to instructing. There are all kinds of crazy minutiae that you can get into as an instructor, especially when you know as much as Ryan does, but he had an incredible ability to give you just the right amount of instruction so that you learned what you needed to learn, but never felt overwhelmed. Tiffany for teaching me the ropes of Afghanistan, and showing me just how much fun it can be on the Herc. She has this uncanny ability to go from all business to total goofball in the blink of an eye while at the same time remaining totally professional through it all. She could always set me at ease and help me to understand how to work through problems in a way that could make the flying even more fun. Chris for never letting me get by with just enough. About a year ago as I was progressing through my lead upgrade training he realized that I had a pretty good break between flights due to the holidays and other constraints, so he came up with a couple of scenarios to work through. It forced me to get into the books and made me realize just how much we have to understand to lead a formation, and ultimately to instruct well. Phil is the only pilot that makes the list, but I can honestly say that I would not be the navigator that I am without him. Phil sets an incredibly high bar and he expects everyone on his crew to meet that bar and raise it. At the same time he has a knack for giving you the tools necessary to rise to the occasion. Phil was my pilot at the Advanced Mountain Airlift Tactics School which was some of the most fun I have ever had flying. That is a whole different level of instructing when you have the ability to improve the other crew positions around you. As I said before, all of these instructors, and many more, instilled in me a confidence that has made it possible for me to succeed in my career. They each had their own unique way of approaching essentially the same material to provide me with the best possible bag of tricks to carry throughout the rest of my career. I have no idea what my students thought of flying with me, but I am incredibly grateful for the opportunity that I had to instruct them. It is fulfilling in ways that I never understood before having this opportunity. My hope is that I can leave them with the confidence they need to succeed in the same way that others did for me. There are few sights more somber than the memorial honoring those we lost. Flying is an inherently dangerous venture for man as we were created as land-dwellers with our eyes to the sky longing to be there. Due to this inherently dangerous nature, I have often heard it said that if you stay in this business long enough you will know someone who loses their life in it. This is a near certainty as a military member. It turns out that it took five years for me. As avid followers of aviation, I am sure you are all aware of the C-130J that crashed near Jalalabad, Afghanistan last week. Very little has been released on the accident itself, which is good because it does no good to speculate before all of the necessary information can be gathered to understand what actually happened. 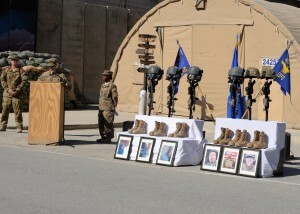 What has been released are the names of the airmen that lost their lives in this tragedy. For many people these are simply names. For others they are American Heroes, and rightly so because they are. However, there is a small group of people who knew them, and I just happen to be one of them. The first time I met Capt Jonathan Golden he was simply Officer Trainee Golden in the early days of Officer Training School at Maxwell Air Force Base. By no means were we close friends during our time at Maxwell, but I was always impressed with the quiet leadership of Jonathan. 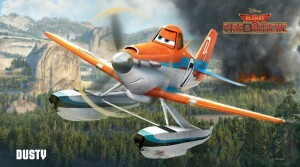 While I never flew with him, I would imagine that he is exactly the type of pilot I would have loved working with. It always impacts me as an aviator when I hear about a plane crash, and even more so when it is a military aircraft. There is nothing we can do to bring these great servants back, but what we can do is learn from this accident so it never happens again, and we can hold them in our memory so that they are never forgotten. So before you go and fly again take a moment to make sure that you are being as safe as you can be, and take a moment to remember the names Capt. Jonathan Golden, Capt. Jordan Pierson, Staff Sgt. Ryan Hammond, Senior Airman Quinn Johnson-Harris, Senior Airman Nathan Sartain and Airman 1st Class Kcey Ruiz. They gave their lives doing something they loved so that we can all remain free.